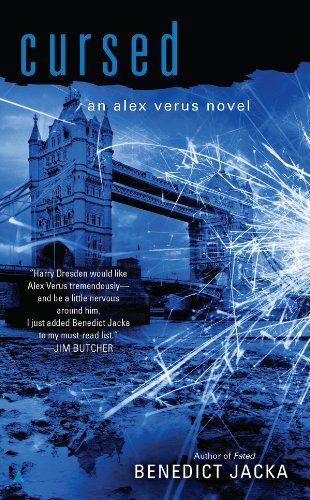 Fated and Cursed are the first two novels in Benedict Jacka’s Alex Verus series. Taken and Chosen are the next two, and I will DEFINITELY be getting my hands on those! 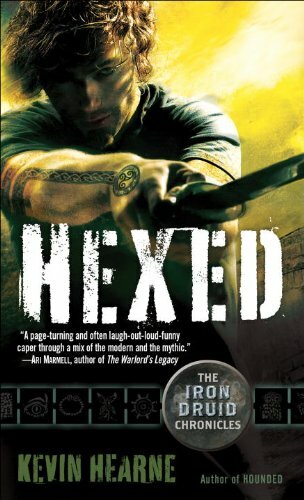 I’m a big fan of the urban fantasy genre when done right, and Jacka does not disappoint. 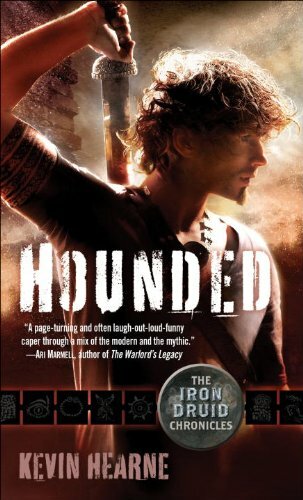 The books are very reminiscient of Jim Butcher‘s Harry Dresden novels, and even include a shout out within the first few pages that made me giggle. 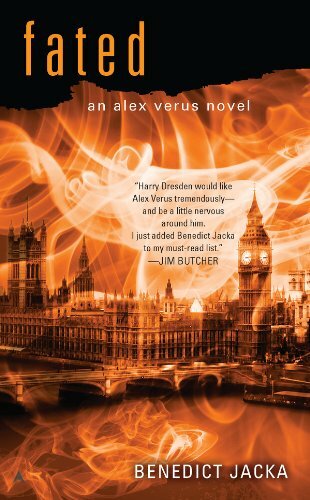 Unlike Dresden’s wizardry, Alex Verus is not a flashy mage. He can’t throw fireballs, he can’t shield himself, he can’t teleport. What he CAN do is see the future. All possible futures. He can flip through them in a matter of moments to find the one that ends with the result he wants. (Usually, his survival.) Constantly underestimated by the elemental mages, battle-mages, and other flashier mages around him, Alex continues to prove that, with proper ingenuity, his power can do a great number of unexpected things. Accompanied by his cursed Apprentice, Luna, and a friendly air elemental named Starbreeze, Alex gets into, and out of, some pretty hairy situations. Since he hasn’t sworn allegiance to either the light mages or the dark mages, he’s considered a rogue. In the first book, Fated, both sides use him to get to a powerful, ancient artifact locked behind multiple wards and booby traps. In the second, Cursed, Alex has to save a dear friend from being killed by a ritual used to drain magical beings of their magic. These are both quick reads – I read them in one day while riding the bus to and from a job interview, and afterwards curled up in bed fighting off a migraine. The adventure is fast-paced and a lot of fun. 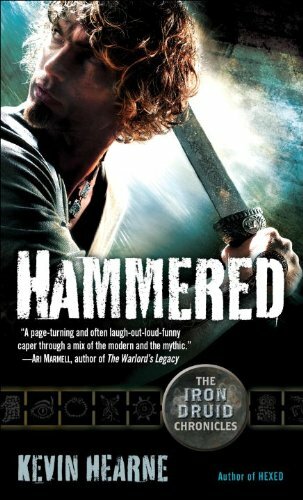 If you’ve read and enjoyed The Dresden Files or Kim Harrison’s The Hollows series, I’d highly recommend you read these. Alex is part of a world hidden in plain sight. He runs a magic shop in London that caters to a clientele that can do much more than pull rabbits out of hats. And while Alex’s own powers aren’t as showy as some mages’ he does have the advantage of foreseeing the possible future – allowing him to pull off operations that have a million-to-one chance of success. Alex WAS a little-known magic-shop proprietor in London. But thanks to his second sight, he’s suddenly infamous for defeating powerful Dark mages. Now he’s keeping his head down, training his apprentice, and trying to prevent cursed artifacts from falling into the hands of novices – until he unearths the resurgence of a forbidden ritual. Someone is harvesting the life force of magical creatures – destroying them in the process. And draining humans is next on their agenda. 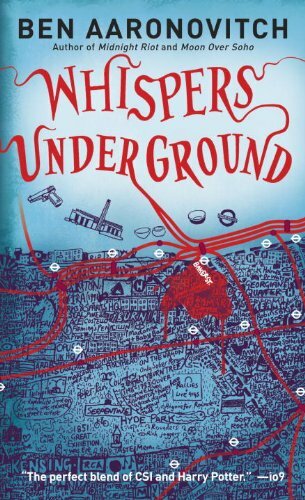 Hired to investigate, Alex discovers that not everyone on the Council wants him delving any deeper. Struggling to distinguish ally from enemy, he finds himself the target of those who would risk their own sanity for power. Alex still has the advantage of seeing the future – but he might not have a future for much longer.